Today lets try Double Sided Knitting! No don’t leave. I promise its not that hard, not the way that I do it. 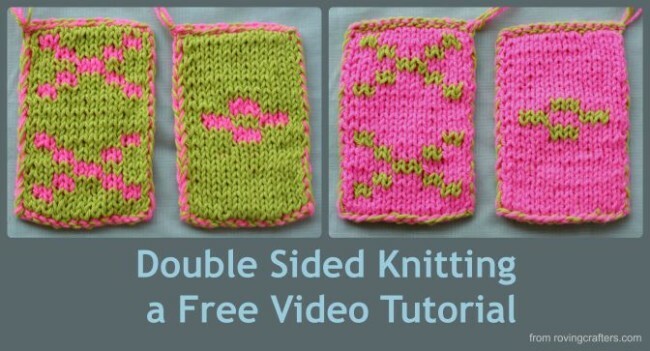 Double sided knitting can get pretty complicated but it doesn’t have to be. Today I’ve got three videos which show how to make these little pot scrubbers. They are the perfect thing to try if you’ve never done double sided knitting. Give me a chance to talk you into it. I am not a fan of long how-to videos. When I watch videos like that, I get impatient and start to skip ahead. I mutter at the screen and I get grumpy. So I promised myself when I started making (cruddy, low-light, awful-bad) videos of my own, I would keep them short and not talk too much. I broke that promise with this one! 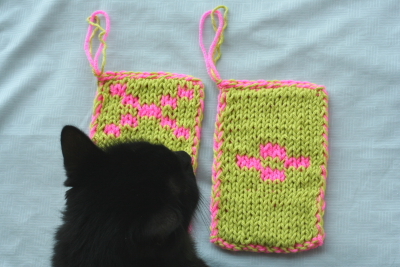 Double sided knitting is not hard but it can be intimidating. 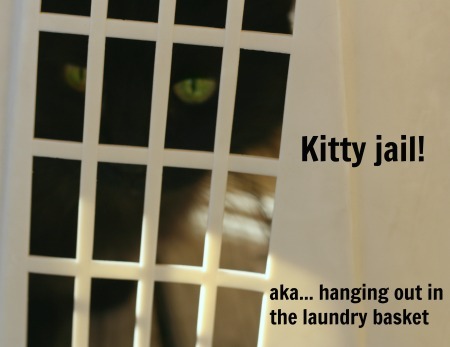 It can, and has, put off many a knitter. So I gave my myself permission to go slow, take my time, and do a through job of showing off just how simple double sided knitting can be. But there is a bunch of me talking and I feel a bit guilty about that. It won’t happen again. Probably. As I mention in the videos above, I let my students talk me into writing up an official pattern for these pot scrubbers. I’m working on that in between cups of coffee and maybe a trip to the book store. I should have a little pattern available for both pot scrubbers in a day or so for anyone who is interested so check back! And if you’d like the pattern to these pot scrubbers you can find it right here! 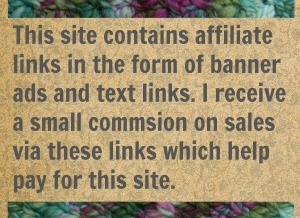 17 Comments on "Sunday Stitch – Double Sided Knitting"
Sorry that the videos don’t load. I think they are working. They seem to be working for me. I working on the pattern right now! Better get back to that. These are great. I might be able to do this. Fingers crossed. Can you knit with crossed fingers? Can’t knit with crossed fingers. Nope. But crossed toes will work! The videos are great!. As one of your students, I think the homework breaks even between the students and the teacher. However if you didn’t show us such cool techniques, we wouldn’t insist you write up a pattern. Thanks for posting this. Please disregard nonsensical “one of” in above comment…Mondays require more editing, apparently! Only on Mondays? Then you certainly have me beat.